Here’s to the struggles of being a teenager, of learning how to live while fighting down the endless pit of work from your classes. Here’s to feeling like “giving up but [knowing you] just can’t.” If you’ve ever trudged through a high school campus, you know what I’m talking about. But this is not just the words of one fellow high schooler to another. Even pop stars can relate. 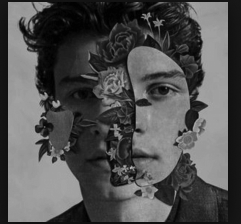 Shawn Mendes’ new release “In My Blood” in his album Shawn Mendes focuses on the struggles one undertakes when going through a difficult time in life, while summoning the determination to keep going. Not only is this an important life lesson, it includes a number of stylistic elements that enhance the quality of the pop-rock tune. The simple beat of the melody written by Shawn Mendes, Geoff Warburton, Teddy Geiger and Scott Harris highlights the moving lyrics to the song. “In My Blood” opens with an acoustic guitar playing TAB chords. This is quickly followed by a consistent tap on the drums. When the chorus is first sung at 1:08, a subtle drum crash is added to the background. The suspenseful pause of every instrument-except for the electric guitar-and the absence of background vocals before the climax of the song (2:43), reels in the audience with its simple yet unexpected twist. Unlike his past albums (Handwritten and Illuminate), Shawn Mendes includes songs that touch on a more mature style of music that heavily utilizes techniques used by a variety of artists. As Mendes said in a Billboard interview: “I wanted to make a Kings of Leon” album” with other artistic influences such as the electric-genius- Zedd featured in “Lost In Japan.” Mendes’s new album was inspired by his current music go-tos: Justin Timberlake, Kanye West, Daniel Cesar, Ed Sheeran and John Mayer. Cougars Seen at Kennedy Library?